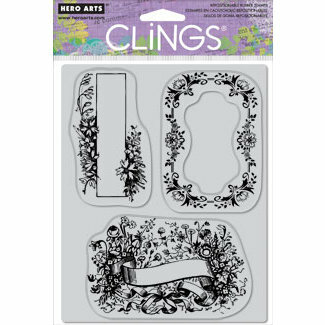 By Hero Arts, this Cling stamp contains three floral bordered frames. The stamps measure 9.5 x 6cm, 8.5 x 6cm and 7.5 x 4cm. For use with an acrylic block (not included).